Studio Ghibli’s Double Feature of Grave of the Fireflies and My Neighbor Totoro | Was it a bad Idea? For this month’s Ghibli Rewatch I’m changing the format a bit. 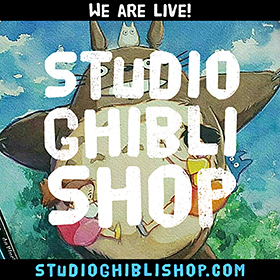 Rather than going through each film chronologically, I’ll be looking at the shared themes of two Ghibli classics, and discussing how the films changed the studio. One film is Hayao Miyazaki’s ebullient My Neighbor Totoro; the other is Isao Takahata’s devastating Grave of the Fireflies. The two directors worked on their projects simultaneously, and the films were ultimately released in Japanese theaters in 1988 as a double feature. I have decided to try to watch them back-to-back, to recreate the experience of the unsuspecting Japanese audiences who were about to watch one of the most heartbreaking films of all time, and then meet a creature who would quickly become a new icon of Japanese childhood. Will I get through them both? Will I get emotional whiplash during a double feature? Read on to find out. Studio Ghibli was officially founded after the success of Nausicaä of the Valley of the Wind. Its first film was an original creation of Hayao Miyazaki’s, Castle in the Sky. 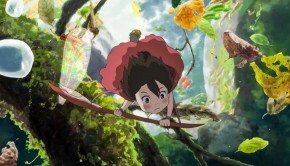 A few years after that film, Miyazaki and his friend and collaborator, Isao Takahata, decided they would each tackle a film to be released in the same year. Miyazaki was not yet the animation god that he is now, so when he told people that his next movie would be a highly personal, almost drama-free work about two little girls and forest spirit, bottom-line-minded business men didn’t see the appeal. Meanwhile, Takahata wanted to adapt a bleak short story: Akiyuki Nosaka’s Naoki Prize-winning Grave of the Fireflies, written in 1967. Grave of the Fireflies follows a young brother and sister fighting for survival in Japan during the last months of World War II. It’s based on Nosaka’s own tragic childhood, particularly on the deaths of his two sisters, both of whom died of malnutrition during the war. The second sister died after their father’s death in the 1945 Kobe bombing left Nosaka her sole caretaker, and he wrote the story years later to try to cope with the guilt he felt. Takahata wanted to tackle the story as an animated film because he didn’t think live-action could work — where would a director find a four-year-old who could convincingly starve to death on camera? 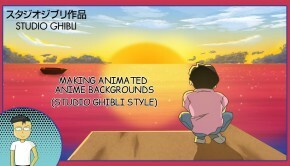 But Takahata thought it would make for a dramatic feature, one that would show the young studio’s range. There was also a connection to Takahata’s childhood that I’ll detail below. 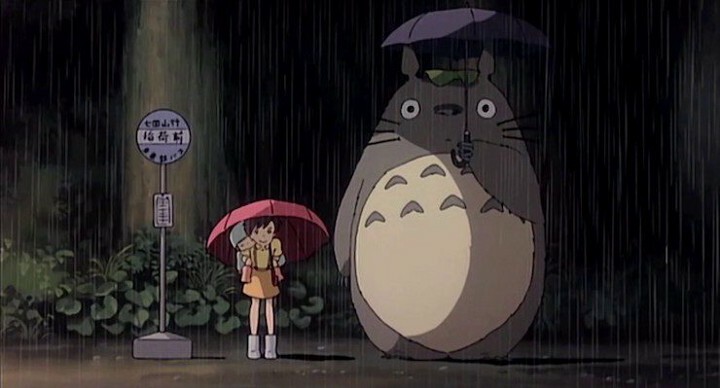 Totoro also came from his creator’s childhood: Miyazaki would draw a rotund bear/cat hybrid as a boy, and in the 1970s began drawing the adventures of a young princess who lives in the woods with a similar, slightly-less-cuddly, beast. 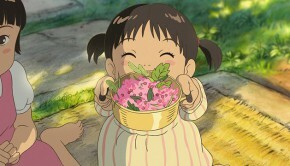 That princess was eventually divided into two characters — one version of the princess became even more feral, and evolved into Mononoke Hime, but the other became a six-year-old girl who met a softer version of Totoro — and who was later again divided into the characters of Mei and Satsuki as they appear in the finished film. Miyazaki set the film in Tokorozawa City in Saitama Prefecture, which had once been lush farmland, but in the late 1980s was being swallowed by the sprawl of Tokyo. He set out to make a film about childhood innocence, where the only antagonist — the mother’s illness — was already being defeated, and where neighbors — whether human or forest god — took care of each other. The problem was that studio execs weren’t sure that a film about innocence, starring a big furry god that their director had just made up, would set the box office on fire. Toshio Suzuki, the not-nearly-sung-enough genius producer, was the one who suggested a way to fund both of their films projects: Shinchosha, the publisher of Grave of the Fireflies wanted to break into the movie business. Perhaps they’d pay for a double bill? 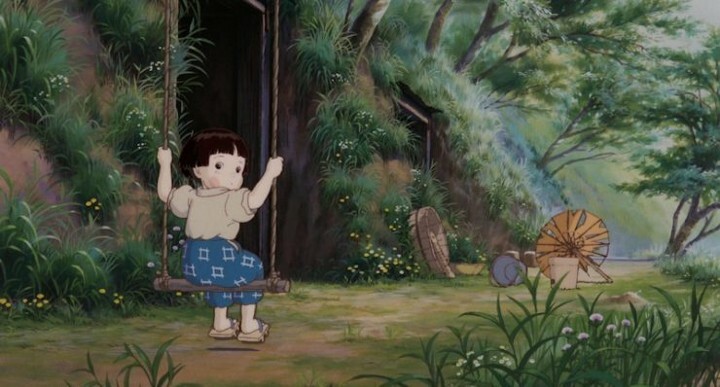 This would allow Takahata to adapt the story into a faithful, feature-length film without having to deal with the difficulties of live action, and Miyazaki would have backing to make his whimsical forest spirit movie. Plus, they argued that teachers would likely arrange school outings to show their charges the historically significant Grave of the Fireflies, thus guaranteeing that the double bill would have an audience. This worked…to a point. 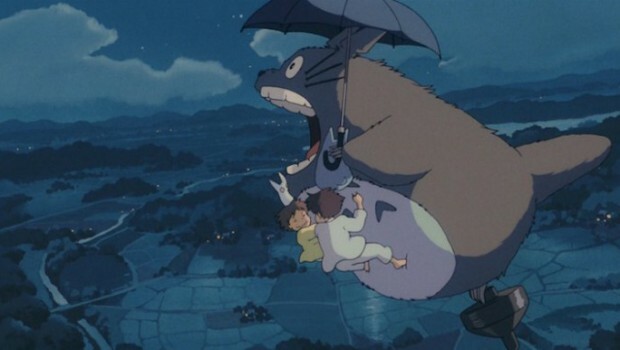 The films were made and released together, but the studio quickly found that if they showed Totoro first, people fled from the sadness of GOTF. Even swapping the films didn’t exactly result in a hit. 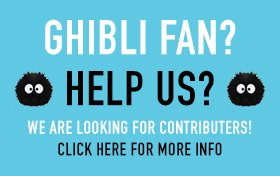 It was two years later that Studio Ghibli became the iconic studio we know, thanks to a merchandising decision that ensured their success, but more on that later. The films are both masterpieces of economy, and creating extraordinary emotional tapestries out of tiny details. I rewatched the two films in the correct double feature order to try to recreate the experience of those poor unsuspecting Japanese audiences of 1988. 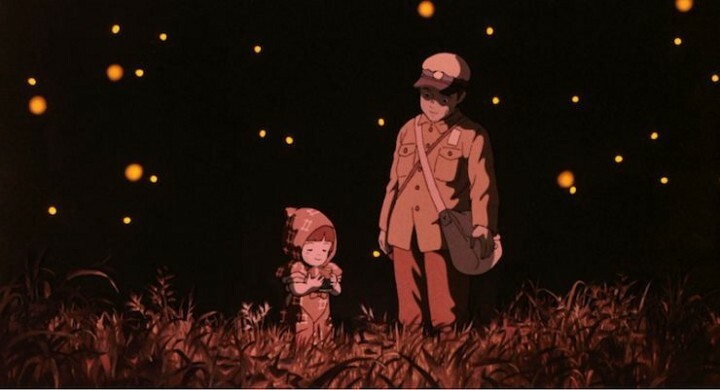 I should start by mentioning that I swore a blood oath to myself that I would never watch Grave of the Fireflies again. I watched it again for this post. I started crying before the opening credits. Isao Takahata has never been lauded to the same extent as his colleague Miyazaki. He joined Toei Animation right out of university, and worked on television throughout the 1960s and ’70s. He began working with Miyazaki on his feature directorial debut, Hols, Prince of the Sun, in 1968, but when the film underperformed he ended up back in TV. 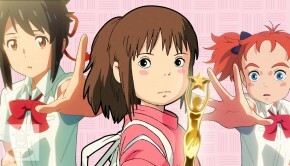 He and Miyazaki teamed up for an adaptation of Pippi Longstocking that never got off the ground, and for a successful series titled Heidi, Girl of the Alps. He came aboard Nausicaä of the Valley of the Wind as a producer, and then produced Studio Ghibli first feature, Castle in the Sky, before tackling what was only his second feature-length animation as a director, Grave of the Fireflies. Takahata’s attachment to Grave stemmed largely from the events of his own childhood; as a nine-year-old boy, the future director lived through the horrific bombing of Okayama City, and drew on his own experience for the film. He and his ten-year-old sister were separated from the rest of their family, and fled through the city as it burned. “As I was running, more and more all around me, something would get hit, so the running would get more and more confusing. I’ll go this way, I’ll go that way, and then something was bursting into flames all around… there were places where they kept water to put out fires, and you’d pour it on yourself. But it would dry instantly. So what were we to do?” The two managed to reach the river, but along the way Takahata’s sister was wounded in an explosion, and Takahata’s feet were punctured by glass and asphalt that were melting in the heat. Seita spends the next few months trying his best to care for Setsuko, always assuming that his father will be coming home. First, the two children go to live with a horrible abusive aunt, who starts off playing nice because she — like all the characters — thinks that Japan will win, and that the military will come home and those who supported them will be showered with rewards. As the weeks roll on, however, and Seita continues writing unanswered letters to his father, the money dries up, and so does the aunt’s tolerance. She begins needling Seita for going to the bomb shelter with the women and children, and for not working, despite the fact that there aren’t any jobs for him. Seita finally decides to move into a lakeside bomb shelter with Setsuko. On paper this seems like a terrible decision, but Takahata uses perfectly escalating moments with the aunt to show just how bad life has become, until their escape to the shelter comes as a glorious relief. This makes it all the worse when the knife twists a few scenes later: Japan has begun to lose the war. Seita has money in the bank from his mother’s account, but no one is taking yen, and the kids have nothing to barter. He starts looting during air raids, but that means putting himself at risk, and leaving poor Setsuko alone for hours at a time. Finally he begins stealing. Throughout all of this Setsuko gets skinnier and skinnier, and breaks out in a rash. No adults help. At all. Everyone is too concerned with their own survival. The one glimmer of “hope” comes when Seita is caught and beaten for stealing — the police officer takes his side and threatens to charge his captor with assault. But even here, the cop doesn’t take Seita home, or give him any food. Finally Seita goes into town, and is able to buy food, but while he’s there he learns that the Japanese have surrendered, and that the fleet has been lost. His father is dead. He and Setsuko are orphans. He arrives home, and finds his sister hallucinating from hunger. He’s able to feed her a piece of watermelon, but she dies later that day. The film doesn’t specify how long Seita survives after that, but it seems like he’s given up. He spends the last of his mother’s money on Setsuko’s cremation, and finally dies at a train station just as the U.S. occupying forces are arriving. The one lighter element here is the film’s wraparound narrative. 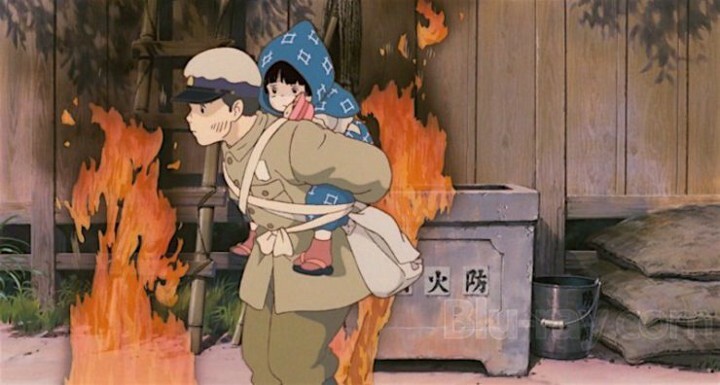 The movie opens with a child dying — Seita’s collapse in the train station. His body is found by a janitor, who also notices that he’s clutching a canister of fruit drop candy. In a genuinely weird touch, the janitor opts to throw the canister out into a field, by using a perfect baseball player’s wind-up and pitch motion. Is this a nod to the encroaching American culture? Because it creates a horrific jarring, callous moment. A child has died alone and unloved, but life is going on, this janitor is a baseball fan, and America is at the doorstep. As soon as the canister lands, Setsuko’s spirit comes out of it, and waits for her brother. He joins her a moment later, and the two travel together on the train (the normal Japanese subway, not like a spectral train or anything) and they go to a lovely hill above Kobe. The film checks in with the spirits a few times, and closes on them sitting together on a bench, watching over the city. Again, the brightest spot in the film is the fact that you get to see the kids as happy-ish ghosts. Earlier, the sequence of their move into the bomb shelter is disarmingly lighthearted, at least at first. The kids catch fireflies and set them loose in their bedroom as lights, but of course by morning the insects have all died. When they reunite as spirits they’re surrounded by clouds of fireflies again — but are these living insects, lighting the ghosts way? Or are these spirits, too? But even these fleeting moments of joy are brought back down by the ending. Seita and Setsuko have been reunited, and seemingly have an infinite supply of fruit candy to share, but they’re also doomed to sit on their bench watching life unfold without them. This creates an extraordinary feeling of weight. Like all modern countries, Japan’s glittering present was built on the bones of its wartime dead. The prosperous country that Takahata lived in, and the industry he worked in, both sprang from a post-war economy, with the loss of war forever hanging in the background. As an American who was raised by her Dad to watch WWII-era classics, watching this movie a decade ago was my first time seeing an entirely Japanese perspective on the war. (I did have a mild Empire of the Sun obsession back in middle school, but even there, while Japanese culture is respected, the British and American POWs are clearly the heroes of the film.) And while I knew the statistics on Hiroshima and Nagasaki, it was still eye-opening to see Japanese civilians gunned down by fighter pilots, towns set on fire, children slowly starving to death from a lack of resources. While Takahata has said that he doesn’t intend the film to be “anti-war” it’s impossible to watch it and not see that whatever the ideologies at stake, it’s innocent children who suffer. So in the name of innocent children, I’m going to move on to Totoro now, OK? I do think Grave of the Fireflies is an extraordinary achievement, and I think people should probably try to watch it once. I think it should be used to Ludovico world leaders before they authorize acts of war. But I also don’t like dwelling on it.